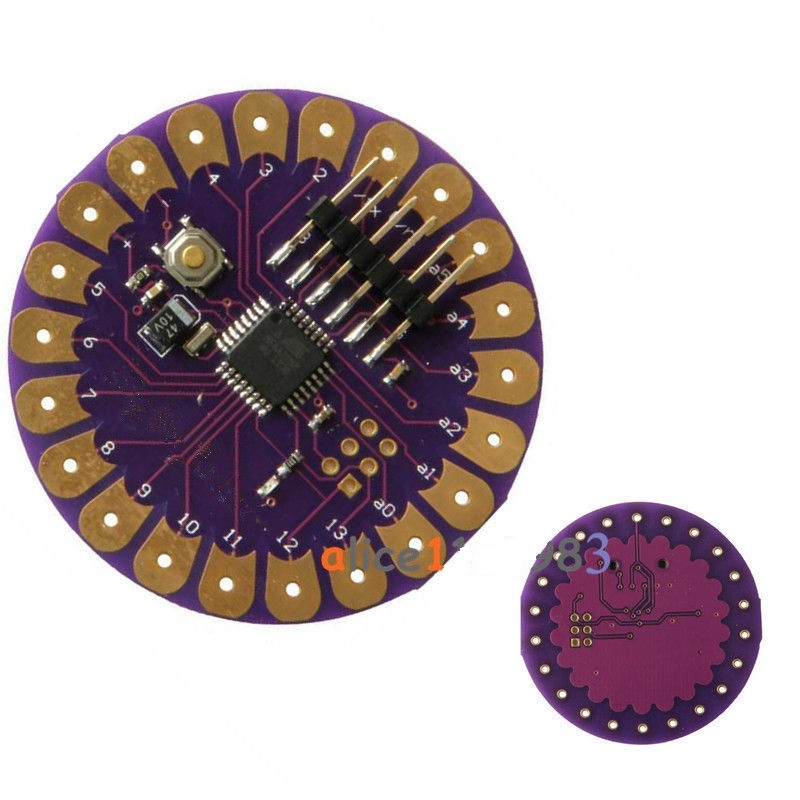 The LilyPad is a microcontroller board designed for wearables and e-textiles. 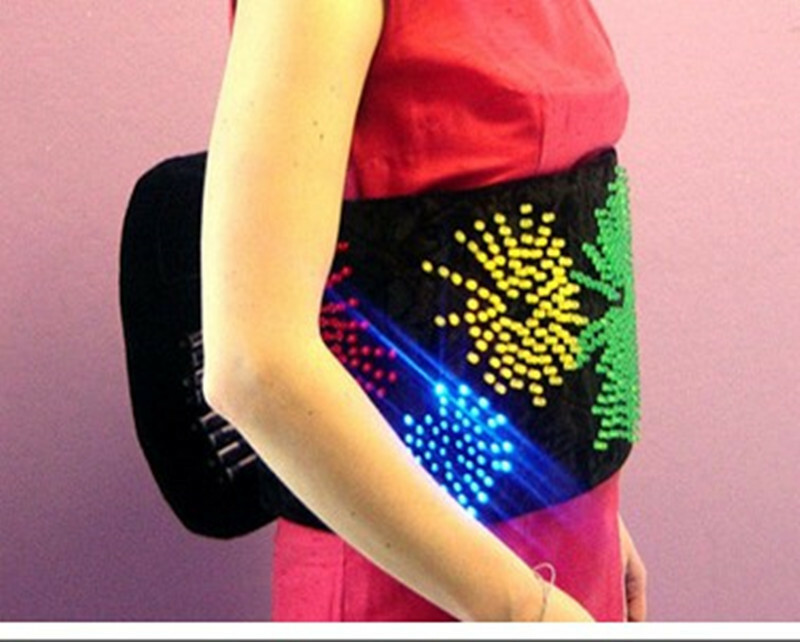 It can be sewn to fabric and similarly mounted power supplies, sensors and actuators with conductive thread. 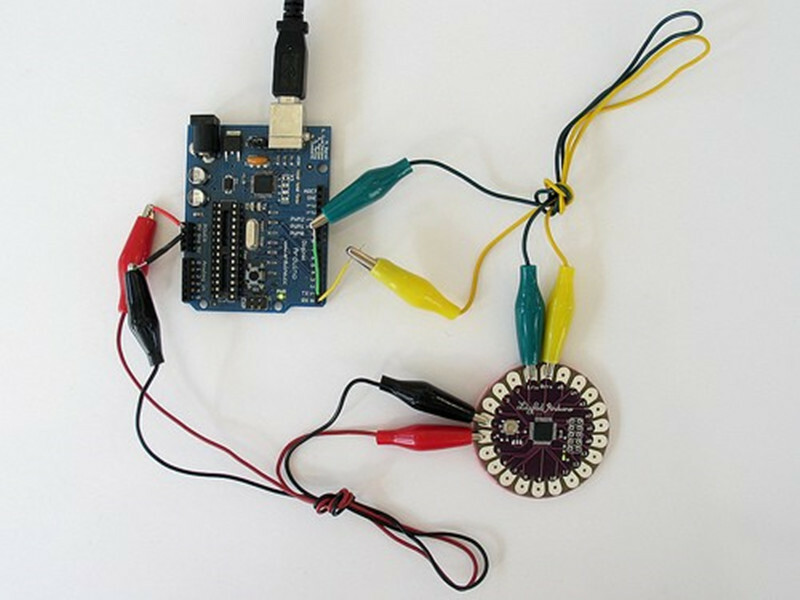 The LilyPad can be programmed with the Arduino software . 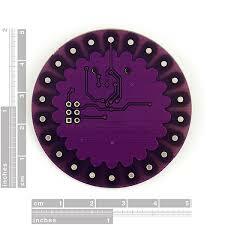 *Note*, the LilyPad Arduino should only be programmed with software versions 0010 or higher. You can program it with earlier versions, but all of the time related functions will be off (twice as slow as they should be). The ATmega328V on the LilyPad comes preburned with a that allows you to upload new code to it with the Arduino software. You can also bypass the bootloader and program the ATmega through the ICSP (In-Circuit Serial Programming) header.